Sherlock Holmes Asks: Why Didn’t the FBI Watchdog Bark? Gregory: Is there any other point to which you would wish to draw my attention? 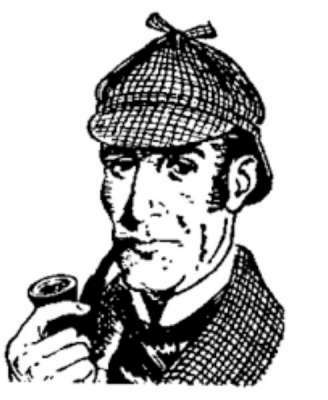 Holmes: Yes, to the curious incident of the dog in the night-time. Gregory: The dog did nothing in the night-time. Holmes: That was the curious incident! Adjusting his deer stalker, Holmes drew the parallel. “In the same way, Comey’s failure to launch an investigation into President Trump himself, when everyone else associated with his campaign was and still is under scrutiny, including his own son-in-law, shows that the FBI Director was quietly protecting the arch-criminal. “Knowing that he couldn’t openly agree to Trump’s demand for personal loyalty, Comey nevertheless sought to provide the required assurance by shielding the President from direct investigation. Three times he informed him that was the case. Holmes concluded the interview by noting that the FBI Director had again signaled his partisanship by the way he handled Hillary Clinton’s emails, “which, as the whole world knows, successfully torpedoed her campaign in its final days and rescued Trump’s floundering candidacy. “Comey hoped Trump would understand that while he couldn’t openly pledge his loyalty, the President could reliably count on him when the chips were down. “Unfortunately for him, the Orange Idiot was too involved with himself to recognize the gift silently proffered, with consequences we all now know.